With an ageing population, there is a growing focus on salim yok, or forest bathing in Korea. 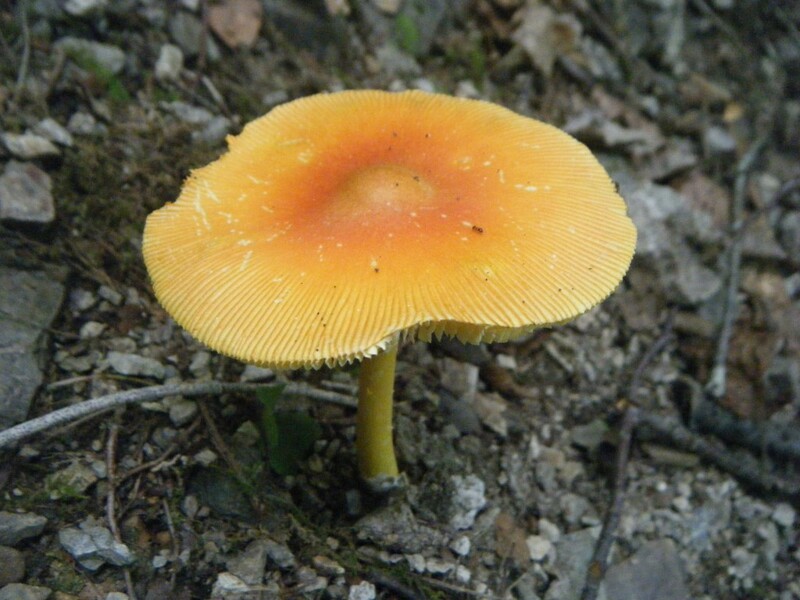 Utilizing the curative powers of phytoncide, a substance emitted by plants and trees, and the act of basking in beautiful, natural scenery to promote health, forest bathing has been proved to reduce blood pressure and stress, boost the immune system and improve overall feelings of wellbeing. Do your body and mind a favor, and head to these Korean destinations to partake in a bit of forest bathing yourself. The deep, clear water of Cheonjiyeon Falls almost appears to descend from the heavens (the name roughly translates as “sky connected with land.”) and the ethereal associations don’t stop there. The magnificent sound the rushing waters produce seems to instantly heal the soul. Furthermore, being in the woods, surrounded by wild Dampalsu trees, brambles, Chinese lemon trees and camellias is extremely rejuvenating. With its granite peaks and diverse flora, Bukhansan in northern Seoul is perfect for forest bathing all year round. In the spring, flowers of every type and color bloom, while verdant forests blanket the numerous valleys in summer. As autumn arrives, and fall foliage begins to transform the park and its temples with fiery hues, Bukhansan becomes a haven for nature lovers, while winter’s snow-covered mountain scenery eases the mind and creates a sense of tranquillity. Made up of five parks spread over around 600,000 square meters of land, Seoul Forest provides an oasis of peace and serenity, right in the middle of Korea’s capital city. Of particular interest is the park’s Ecological Forest, once covered by the Han River, the area has been transformed into an eco-forest that unites the river with the Jungnang Stream. Deer, chipmunks, mandarin ducks and mallards are just a few of the creatures that call this natural habitat home, and they can be easily spotted via the on-site observatory. There is no shortage of beautiful walking trails and observation points in Juwangsan National Park, but for a comfortable, effortless forest bathing experience, opt to take the Juwang Valley walking course. This 2.2 kilometer-long trail commences at Daejeonsa Temple and leads to the Yongchu waterfall, passing the Jahagyo Bridge. When walking along the path, forest bathers can take in views of eerie rock formations and cliffs. In the fall, autumn foliage makes for spectacular scenery. This historic site nestled just north of Seoul’s Gyeongbokgung Palace dates back to the Joseon dynasty, when it was the site of a villa of a renowned prime minister. It rests amid untouched natural surroundings and is home to a myriad of animals, such as minnows, frogs and even the occasional wild boar. The path along the area’s thick forest and natural valleys, which is covered in a lush canopy of trees and punctuated with trickling streams, provides an excellent getaway from the hustle and bustle of the surrounding city. 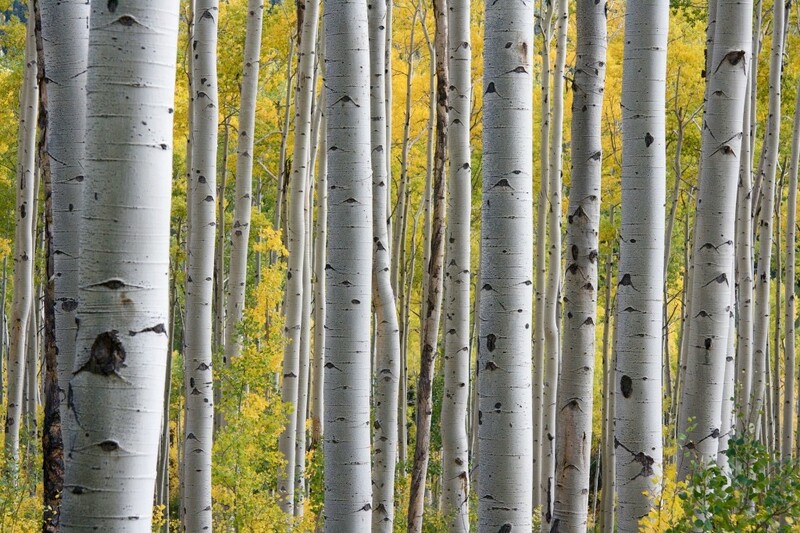 Birch trees have long been believed to have mystical powers that can both inspire and heal. Just 20 kilometers outside the small town of Inje lives the Wondae-ri Birch Forest. Spread out over 138 hectares of mountainside, this remarkable wooded area is comprised of approximately 690,000 birch trees and three trails that run through them. The forest is particularly popular in the winter months, when people come from all across the peninsula to take in the serene sight of the white trees towering up to the blue skies. Located in Gapyeong, some 50 kilometers outside Seoul, Yumyeongsan Mountain Natural Recreation Forest is often considered to be the best in the region, thanks to its gorgeous collection of trees, valleys and log cabins. Facilities within the recreation forest include sporting equipment, a forest exhibition and a hiking trail. The assortment of plunge pools and water pockets that descend through the valley create a beautiful landscape. While Seoul’s Namsan Mountain is home to N’Seoul Tower, arguably one of the most visited landmarks in the city, it also has its fair share of quiet, picturesque walking trails that snake through its forests. 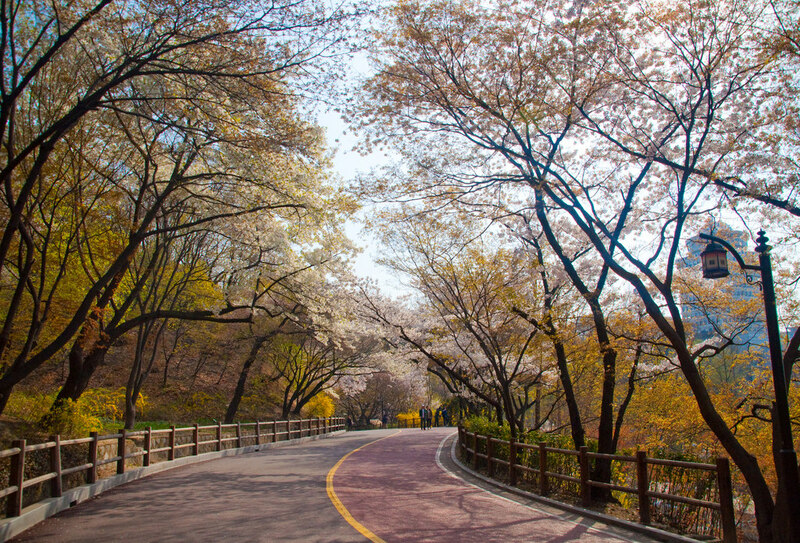 As the largest park in Korea’s capital, it is home to many species of trees, plants and animals. It is especially beautiful in the spring, when the cherry blossom trees are in full bloom, and create a delicate ‘snow’ over the mountain. Nestled in the natural forest of Cheonggyesan Mountain, Seoul Zoo’s Forest Bathing Park boasts some 470 species of vegetation, including pine trees, wild pear trees, Mongolian oak trees and ginger plants as well as raccoons, rabbits, owls and pheasants. It is made up of four courses, and each offers a variety of themed walking paths, which can take anywhere from one to three hours to complete. One course includes a walkway in which forest bathers can walk barefoot on the forest’s yellow soil, while taking in views of Gwanaksan Mountain and listening to the sounds of chirping insects. It doesn’t get more natural than that. At Mudeungsan National Park in Hwasun, South Jeolla Province, there are around 15 different walking trails, each with their own unique beauty and charm. For the best forest bathing experience in the spring, head to Course No. 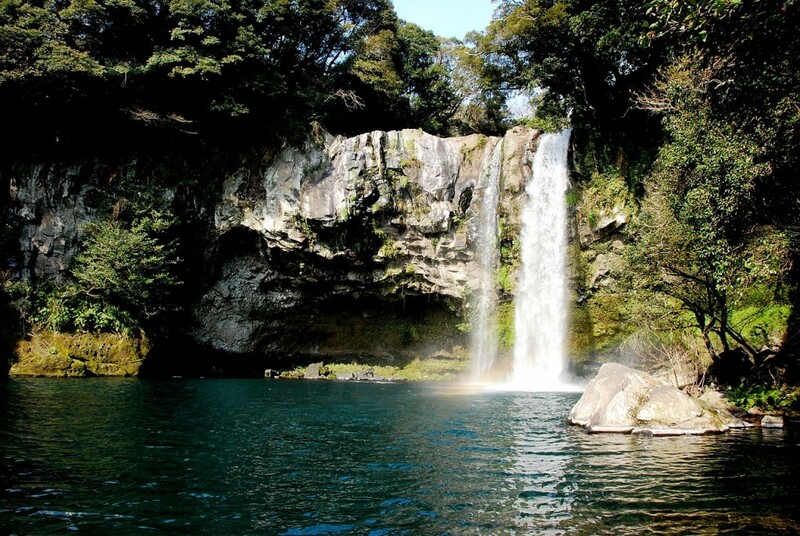 11, a three kilometer long trail that promises gorgeous views peppered with cherry blossoms and royal azaleas. Originally used by villagers to travel between Hwasun and Gwangju, it remains a favorite local beauty spot.